What type of splash pad products does Rain Deck offer? Rain Deck prides itself on being the ONLY splash pad product manufacturer that caters to all three markets … Commercial, Light-Commercial, and Residential. Rain Deck products represent the best in quality, innovation, affordability, and come with technical support and customer service that is unmatched. Rain Deck stands on the commitment to provide a wide platform of exceptional products and installation expertise that will enable all contractors and do-it-yourselfers to deliver safe, economical, and enjoyable splash pad environments throughout the world. DURABILITY: Rain Deck manufactures splash pad / splash park products for all levels of play and offers a warranty ranging from two years to LIFETIME for every single product. AFFORDABILITY: Rain Deck will beat anyone's price, period! We simply cannot be beat! Rain Deck sells direct to you, avoiding costly middle-men; saving everyone valuable time and money. Save big on your next splash pad / splash park project by reaching out to our professional sales representatives. 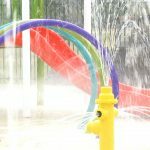 DESIGN: Rain Deck has designed thousands of splash pads / splash parks all over the world ranging from fresh water systems, pool tie-ins, and stand-alone / recirculation systems. Rain Deck knows that each splash pad varies widely in their locations, applications, and uses. Rain Deck's sales team and design/planning department will work hand-in-hand with contractors, designers, and owners to ensure that the overall vision becomes reality. With the ability to customize even the smallest details and features, Rain Deck is your source for tailored splash pad / splash park products. To gain a complete overview as a company and its comprehensive products and services, please download our Product Catalog. 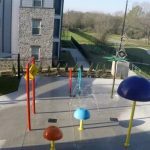 Below are the latest blog posts and news items about our commercial and light-commercial splash pad products.